Dry needling is a skilled technique using solid, fine gauge needles to penetrate the skin and underlying tissues to decrease pain, stimulate circulation, and restore function. Dry needling is very safe with the most common adverse reactions being post-treatment soreness and/or bruising in the area. The number of treatments required will depend on the condition being treated as well as the type of needling. Intramuscular Stimulation (IMS): During IMS, needles are inserted into the body at specific points called myofascial trigger points causing the muscle to twitch or contract. The muscle then releases causing decreased tension, joint compression, and nerve irritation. The needle may be advanced into the tissue multiple times or an electro-stimulation unit may be attached to the needles for a period of time to fully release the trigger point. 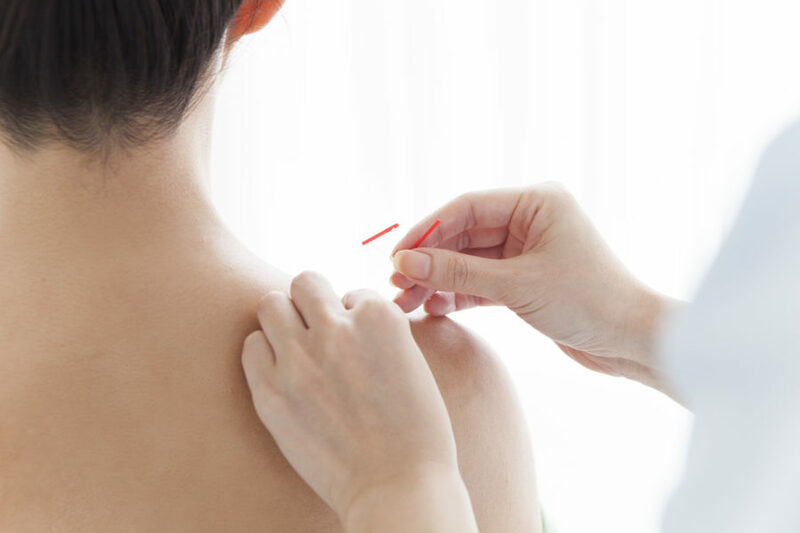 Acupuncture: During acupuncture, needles are inserted into the body at specific points based on meridian and Qi theory that is rooted in Traditional Chinese Medicine. This causes a release of endorphins to decrease pain, improve mood, and increase energy. Needles are often left in for 15-30 minutes.